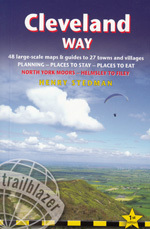 Time Travel - in the Peak District! How did people live thousands of years ago? Why were stone circles built? What kind of people built castles, hillforts and richly decorated burial sites? Forget about dusty old history books. 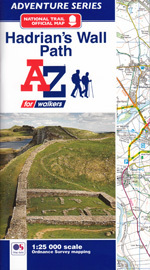 Put on your walking boots, enjoy the superb scenery of the Peak district and enjoy a roller-coaster ride through history with Ali Cooper. Archaeology is like flower spotting, but more fun, because it's about people. 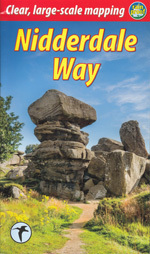 With the help of this book, you'll soon recognise the rich heritage of early mankind to be found throughout the Peak District. 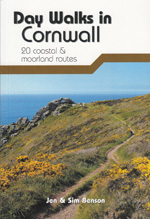 Routes range from 3 to 12 miles and are fully illustrated. 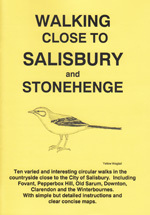 To set the scene, there's an introduction to the study of archaeology and a glossary of the terminology used. 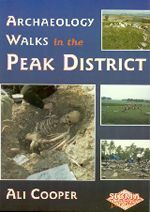 Brief descriptions of the major finds on the walks are included, plus a bibliography for those who want to delve deeper. 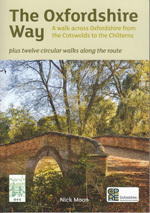 Ali Cooper has an MA in archaeology and is a keen outdoor enthusiast, the ideal guide to your time-travel walks. The walks are: The Manifold Valley and Ecton Hill; The Manifold Valley Caves; Long Low and Reynard's Cave; Fox Hole Cave and Pilsbury Castle; Barrows near the Tissington Trail; Wigber Low and Bradbourne; Rainster Rocks and Harborough Rocks; Minning Low and Roystone Grange; Green Low; Arbor Low and Ringham Low; Stanton Moor and Harthill Moor; Stanton Moor and Doll Tor Stone Circle; Harthill Moor; Crane's Fort and Conksbury; Fin Cop; Five Wells, Deepdale and Chee Tor; Five Wells and Thirst Hole Cave; Chee Tor and Miller's Dale; Beeley Moor; Gardom's Edge; The Edges - Baslow, Curbar and Froggatt; Cairns and Circles on Eyam Moor; Carl Wark, Upper Padley and Hathersage; Mam Tor and Navio; Mam Tor and Castleton; Castle Naze and The Bull Ring Henge; Torside Castle and Doctor's Gate.